A dose of Chinese medicine. 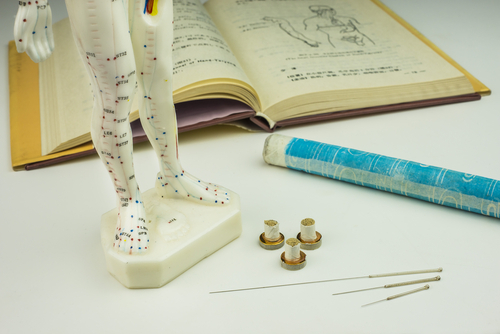 Quotes from classics, briefs on acupoints and herbs, or simple tidbits of TCM knowledge to educate and enlighten you (and keep me sharp). Honestly, it has taken me quite a while to read this book. It was recommended to me in a course on cancer that I took in early 2013 and I am still reading it. This fact, however, should not reflect on the quality of the book – it’s excellent. But I am a slow (and distracted) reader and this book is very information-dense. 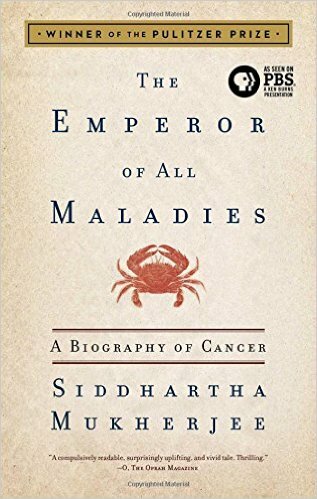 Mukherjee portrays our understanding of cancer biology in such a narrative that it feels like a novel. I’ve come back to this book in 20 page increments over the past two years and pledge to finish it by New Year’s 2016. On an up note, I have watched the entire PBS series based on the book. Highly recommended with a box of Kleenex and note-taking essentials. What a great read. I first heard of this book in April 2015 (wish I had sooner) from lecturer Jani White at the Integrative Fertility Symposium. Stress always comes up when talking fertility and Jani very highly recommended this book to anyone who deals with stress and I do as well. Robert Sapolsky brilliantly and hilariously entertains page to page (and when glucocorticoids are a main topic, that’s not an easy task). I learned so much more about why stress is such an issue for our society from reading this book than I have in reading research articles the past few years. And laughed the whole way to boot.